Telescopic glass enclosures look very attractive and exclusive. Luxurious backyard ideas, they offer a blend of very convenient design and stunning look, while inviting to enjoy a swim rain or shine. Modern glass enclosures are an attractive outdoor living space sheltering trend that brings more comfort into exclusive backyard designs. 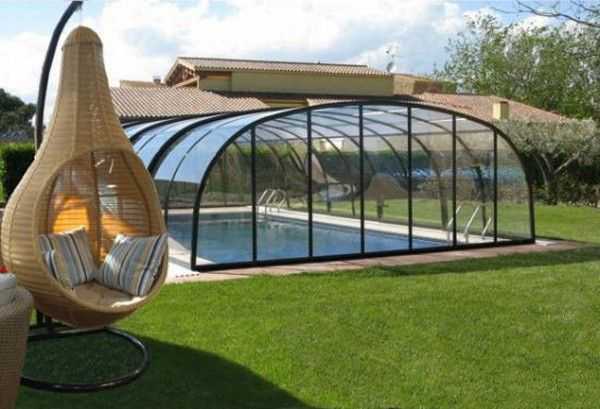 Modern telescopic glass enclosures for outdoor swimming pools designed by Inter Pool Cover Team is a great outdoor home design idea which make swimming on a rainy or windy day more fun. 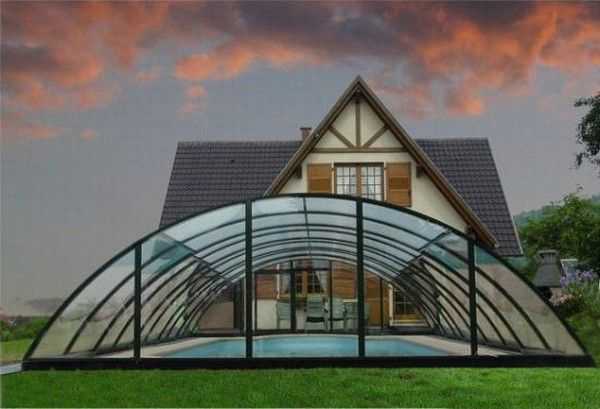 Telescopic glass pool enclosures not only help with the swimming pool maintenance but also add stylish structures that beautify backyard designs. These attractive and practical glass enclosures transform an outdoor pool into an indoor pool when the weather does not cooperate. The transparent glass allows unobstructed views of swimming pools, leaving backyard designs look spacious and inviting. An air circulation and control system turns on the ventilation when a glass enclosure covers a pool. Very attractive, easy to operate and practical glass pool enclosure take away the maintenance problems, keeping outdoor pools free of fallen leaves. Designed by Inter Pool Cover Team, telescopic glass pool enclosures vary in sizes and frame material, adding stunning accents to luxurious backyard designs. 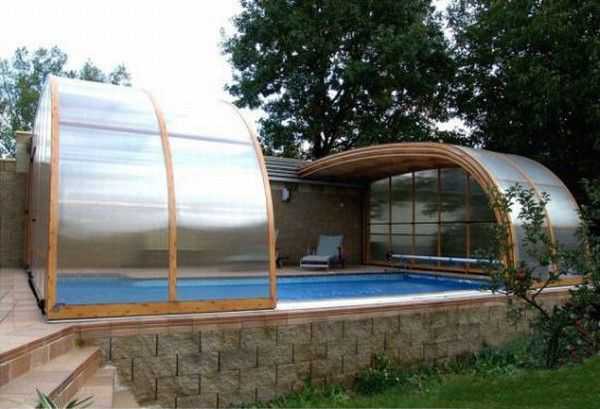 These outdoor home structures offer year-round protection to swimming pools and patios. The transparency and contemporary designs create a wonderful blend that reflects latest trends in decorating outdoor living spaces. On a windy or rainy day you just need to activate the see-through enclosure cover and resume swimming and enjoying the picturesque view of the surroundings. Sliding the glass segments of the pool enclosure opens the cover and offer a pleasant swim on a sunny day.